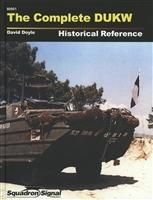 You'll find a selection of commercial books on amphibious vehicles here. And if you've got one of your own that you'd like to restore or keep running, be sure to check-out our Amphibious Technical Manuals (TMs) for everything you need. Nifty little pamphlet prepared by Studebaker for operator's of their famous WWII "Weasel" Long Out of Print & Limited Quantities! 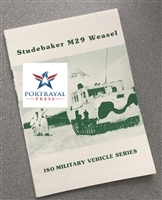 Excellent brief history of the development of the M29 Weasel. 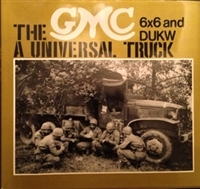 Massive reference book on the GMC 6x6 amphibious truck (DUKW) of WW2 Information on Ford’s amphibious WWII GPA and the Soviet copy, the GAS-46MAV Great survey of amphibious vehicles over the last 75 years.